Bimbo Fola-Alade started professional life as a lawyer. She is now a well regarded bible teacher, pastor and conference speaker. 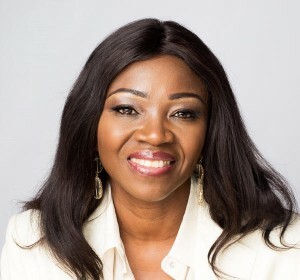 For close to 15 years she served as the Family Life Pastor at Trinity Chapel, RCCG where she gave oversight to the Women’s ministry, Singles Ministry, Marriage Ministry, Parenting Ministry, Youth and Children’s Church. A practical and thorough teacher of the word; she is well regarded for her teachings on the Christian life, marriage, relationship and life issues for women and singles. She also regularly conducts comprehensive premarital guidance programmes and marriage enrichment weekends. She has a strong mentoring ministry to young adults and is a trained Christian counsellor. She is committed to equipping singles and women in the church to attain their full potential in Christ and to build strong and stable families. An avid reader and writer, she is the editor of ‘Leadership & Lifestyle’ magazine and the author of four books ‘Life Makeover’, ‘Are you the one for me?’, ‘Real Women, Real Issues, Real Faith’ and ‘Raising Exceptional Children’. She is married to Pastor Sola Fola-Alade and they have two sons. For recreation she enjoys travelling, watching period films and documentaries, listening to music, eating out, bible-study and writing.